Pennyworth 1.0b9 is now available for download. This release includes some major bug fixes and feature enhancements. Please see the notes below after installing. 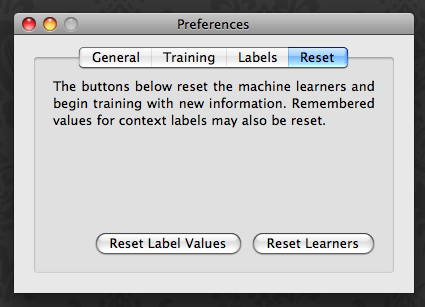 Resetting the learners will require that you retrain the system once more. I apologize that this is necessary, but it was important that I make the necessary changes. I don’t anticipate that this will be necessary in the future. You will also need to download the updated AppleScript sensors from the Script Manager. These sensors (as well as any custom ones) will need to be in the AppleScript/Sensors folder under the Pennyworth application support folder. Enhanced learner view that allows users to collapse parts of the decision tree for better navigability. Please post any feedback in the comments below or send it to pennyworth@aetherial.net. This is early release software, so there will be bugs, and the application will only improve when problems are identified and submitted. Posted by admin at 5:51 pm on June 22, 2008 . Filed under Pennyworth.